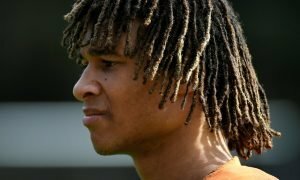 5 players who could follow Jose Mourinho to Man United if he joins | The Transfer Tavern | Where football transfer rumours fly or die! Our resident Manchester United fans here in the Football Transfer Tavern, are growing absolutely sick and tired of the amount of false dawns their club have failed to build upon so far this season. After achieving a fantastic smash and grab 0-1 win at Liverpool last week, this positive result was immediately followed up by a quite awful 0-1 home to defeat to Southampton on Saturday. Everybody loses games, we all accept that but the manner of the Red Devils’ latest defeat is particularly worrying with there being no real indicator nowadays as to exactly what United side will turn up. Louis van Gaal didn’t have any answers in his post match comments either with the experienced Dutchman knowing that what his side are producing at the moment simply isn’t good enough. Naturally, LVG’s position as manager has come under intense scrutiny again with talkSPORT today claiming that Jose Mourinho is still waiting to succeed the under-fire manager as boss for the remainder of the season and beyond. 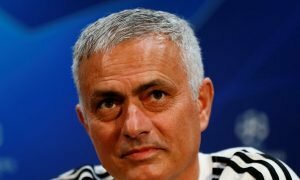 Despite his Chelsea connections, it appears that more and more United fans are willing to take Jose on now given the lack of direction the club seem to be heading in under van Gaal. With this in mind, we’ve today devised a list of five players who could end up following Mourinho to Old Trafford if he is appointed as van Gaal’s successor. Click on the image below to reveal the five players who could follow Jose Mourinho to Manchester United.